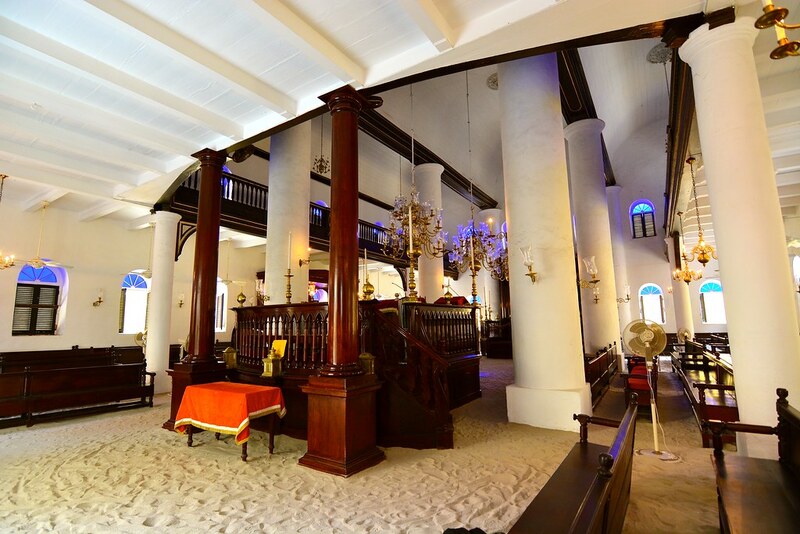 The Caribbean is not all about sandy beaches, its about sandy synagogues too. As many as four synagogues in this part of the world have floors covered with sand, and a fifth one in Amsterdam, the Netherlands. These Jewish places of worship have a regular wood or brick base, but topped with a layer of sand about an inch or two in depth. The tradition of spreading sand on the floor is thought to have originated at the time of the Spanish Inquisition, which raged across Spain and all Spanish colonies in the Americas. During this turbulent period in history, all non-Christians, including Jews, were forced to convert to Christianity. Many of these converts, however, continued to practice Judaism, but secretly. And sand provided a means to this secrecy. At that time going to synagogues were forbidden, and so the Jews began to meet in private homes. But soon these gatherings began to get too large raising concern that the noise might betray their clandestine congregations. So the followers began to cover the floors of their makeshift synagogues with clay and sand to muffle the sound of their footsteps as they came and went, as well as their voices and the prayers themselves. While this is the most likely explanation, there are some who maintain that the sand is merely symbolic. They say that the sand is intended to remind congregants of the 40 years the Jews spent wandering the desert in biblical times. The sand is also said to symbolizes the promise God made to the Abraham to multiply his seed “as the sands of the seashore.” But many historians refute these theories. 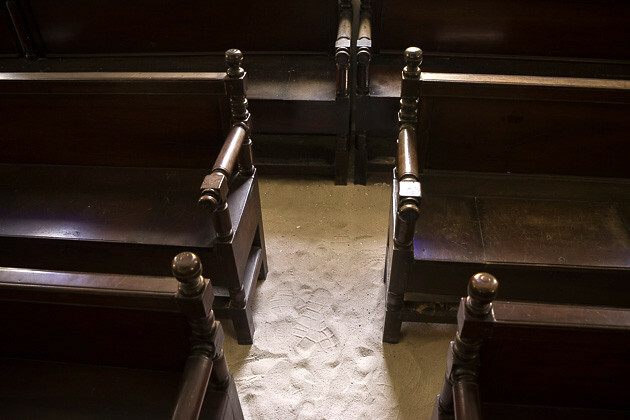 The Portuguese Synagogue in Amsterdam explains that covering the floor with fine sand is an old Dutch tradition meant to absorb dust, moisture and dirt from shoes, over and above, muffling the noise. The Mikvé Israel-Emanuel Synagogue in Willemstad, Curaçao — the oldest surviving synagogue in the Americas.